Bright and beautiful, this elegant ring is crafted in 9ct white gold for a contemporary feel. 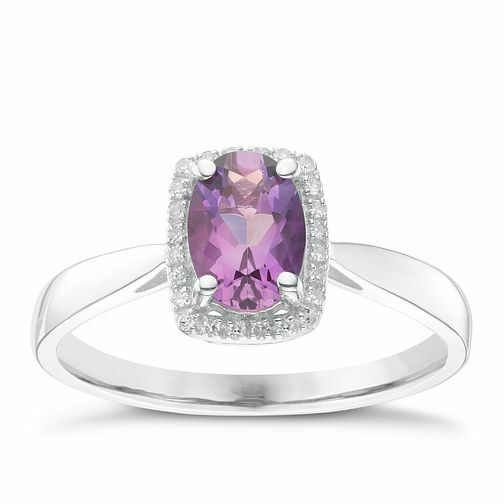 Set with a mesmerising amethyst gemstone surrounded by a halo of sparkling diamonds, creating an enchanting contrast. Chic and versatile, this charming piece is ideal for every occasion.